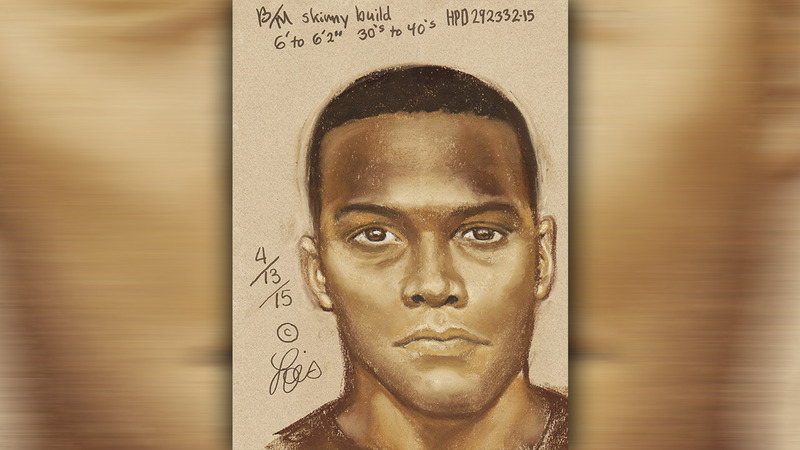 HOUSTON -- Houston police hope you can help them find a man responsible for sexual assaulting a woman who was having car problems in northeast Houston. It happened at around 3am on March 8. The victim was driving in the 4500 block of Liberty Road when she felt her vehicle hit an uneven part of the roadway. She pulled over to check on her car and that's when she says a man approached. She says the suspect grabbed her, forcibly shoved her into her vehicle and sexually assaulted her. The suspect robbed her and then took off. The suspect is described a black male between 30 to 40 years old, approximately six feet tall and has a thin build. Anyone with information about this case is urged to call the Crime Stoppers of Houston tip line at 713-222-TIPS (8477). All callers will remain anonymous and could receive a reward of up to $5,000.